Gorski Kotar – An Endemic Region for Primary Gastric Non-Hodgkin Lymphoma? Naslov (engleski) Gorski Kotar – An Endemic Region for Primary Gastric Non-Hodgkin Lymphoma? Primary gastric non Hodgkin lymphoma (PGNHL) is a distinct group of extranodal lymphomas with interesting geographical distribution and variable prevalence in different countries. We analysed epidemyological data of our patients with PGNHL in Primorsko-goranska County. 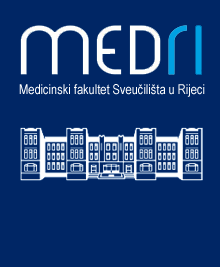 Clinical data of 30 patients with PGNHL diagnosed and treated in Clinical Hospital Center of Rijeka, Croatia between January 1995 and December 2005 were prospectively analyzed. We used statistical analysis (t-test, c2-test) for small groups. Out of 30 pts with PGNHL, 19 were born in Primorsko-goranska County, part of Croatia situated by the Adriatic sea which consists of three regions: City of Rijeka, Islands and Gorski Kotar. 6 of 19 patients (31.6%) were originally from Gorski Kotar which made incidence rate of PGNHL in Gorski Kotar 7 times higher than in other two regions. Many authors emphasized that relative frequency of PGNHL is very variable in various countries and regions. Geographical distribution of our patients was very surprising because Gorski Kotar is the region with lowest number of citizens, rural area without any known pollutants, and ecologically one of the most preserved microsystem in this part of Croatia. Gorski Kotar is known to be an endemic region for multiple sclerosis and lyme borreliosis. Is it for PGNHL too?